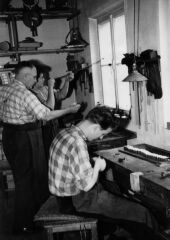 For more than three generations Dörfler have been producing bows with superior craftsmanship and in the style of the great model »Tourte«. Daniel Dörfler, founder of the company, set himself the task of bringing the German bowconstruction to the »Tourte« level of quality. Egidius Dörfler made the master workshop to what it is today by means of perfection, extremely high quality standards and artistic intuition. lt is for this reason that the master bows bear his name. Dörfler master bows exercise a maximum of influence to sound, purity, strength and polish of the tone. lt is only the Dörfler master bow which enables the art of playing to be put into its true Light. 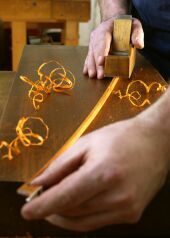 Caused by the conctact with this bow, the string Instrument player can influence the process of the first stroke of the bow in so many ways, that tonal effect and transitions through all levels of the tonal strength result in the desired effects. 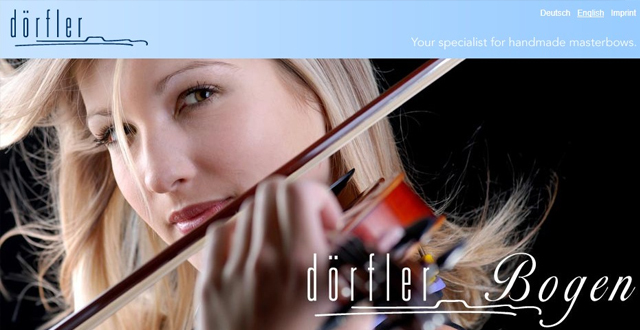 lt is no wonder that more and more musicians select a Dörfler master bow. 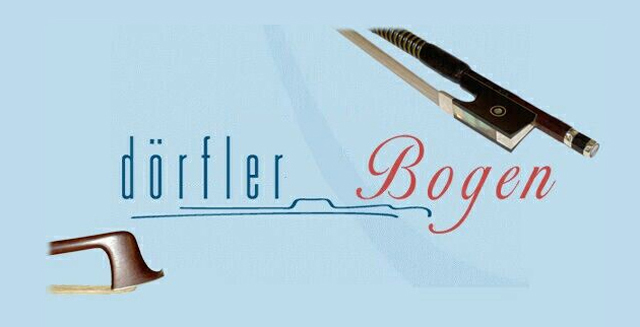 The appreciation of the Dörfler master bows characteristics is certainly the most important reason for this being. The Dörfler master bow is a handmade high-quality product. 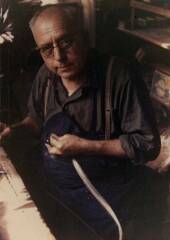 The most superior and selected materials are a guarantee for a long life. 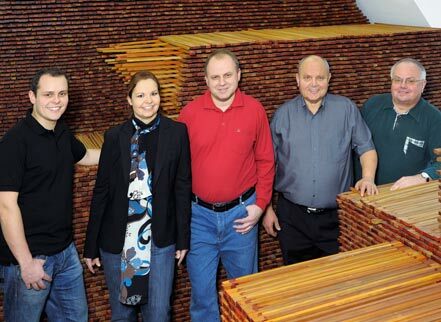 Only pernambuco wood which always meets the high demand for quality with respect to pliability and elasticity is used. This is a prerequiste for the masterly art of giving the bow the greatest possible elasticity while assuring the ideal weight by means of precise bending. The set of string consists exclusively of natural white horse-hair from selected prairie horses of central Asia, hair which does not wave or become brittle. 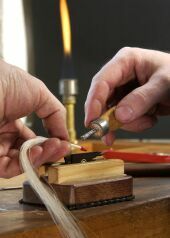 The decorative mountings made of mother-of-pearl or precious metals on the nonporous ebony frog are not a luxury, but valuable refinements which give the Dörfler master bows the appropriate appearance and a long life. No. 9 Selected Brasil stick, octagon, full German silver mounted, ebony frog, parisian eye, three part screw, German silver wire winding. No. 10 Best Brasil stick, octagon, full German silver mounted, ebony frog with slide, parisian eye, three part screw with pearl eye, nickel-silver wire winding. Carefully selected Pernambuco stick, round, full German silver mounted, fine ebony frog, pearl eye, three part screw with pearl eye, nickel-silver wire winding. Carefully selected Pernambuco stick, octagon, fine ebony frog, real silver mounted, parisian eye, three part screw inlaid with eight pearl eyes, silver wire winding. Prime Quality Pernambuco stick, round or octagon, silver headplate, ebony frog, real silver mounted, pearl or parisian eye, three part screw inlaid with eight pearl eyes, silver wire winding. Prime quality Pernambuco stick, round or octagon, Sartory - head, mammoth head plate, selected Sartory - ebony frog, parisian eye, three part screw inlaid with eight goldfish inlays, silver wire winding. Prime quality Pernambuco stick, round or octagon, best ebony frog, gold mounted, pearl or parisian eye, three part screw -ebony- with pearl eye, gold wire winding. Extra: Gold headplate, button with inlay. Prime quality Pernambuco stick, round or octagon, best mammoth frog or horn frog, gold mounted, pearl or parisian eye, three part screw with pearl eye, gold wire winding. No. 04 Pernambuco wood stick, round, ebony frog, ebony capsule button.